We have plenty of visible parking in the front of the vet clinic and once inside our waiting room is large and spacious. We have separate areas for cats and dogs and our retail products are arranged to make your purchasing easy. 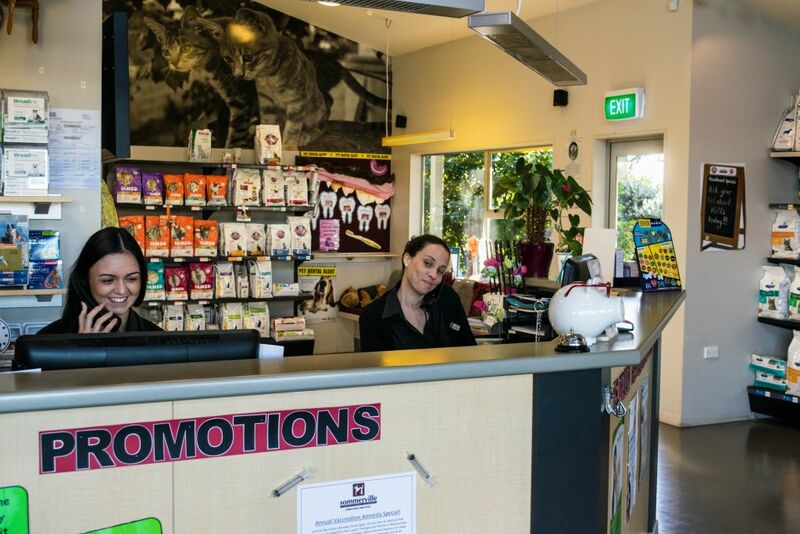 At our reception desk we have two eftpos machines for the busy times of day and staff always willing to attend to your needs. From inside the reception you can look up to see our cattery play area – and of course the cats can look down on you! The waiting area is temperature controlled year round and opens out onto a small deck which can be used – especially good for some of our anxious patients! Our consult rooms are accessed directly from the seating area and we always do our best to keep your waiting time to a minimum. Thank-you so much for the wonderful care of Candy and we really appreciate your expert help and support over the years. Thank-you all so much for all your kindness and care with our dear Coco from the bottom of our hearts. To everyone at Sommerville Vets, Thank-you for your kind assistance with Sandy. 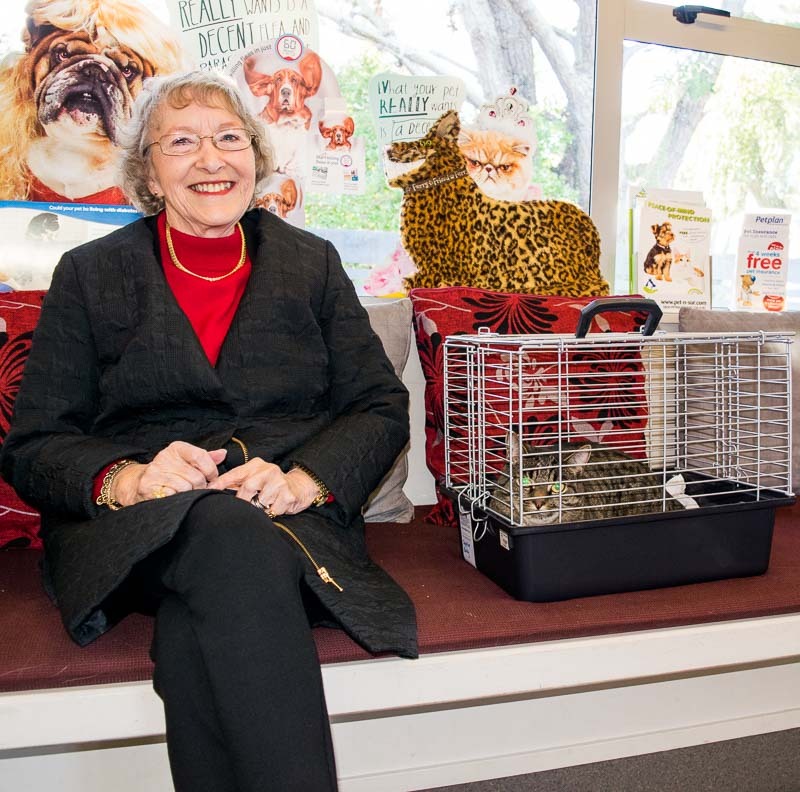 The Sommerville Veterinary Centre was established in 1993 and is a leading companion animal veterinary practice serving the areas of Howick, Botany, Whitford and surrounding suburbs. 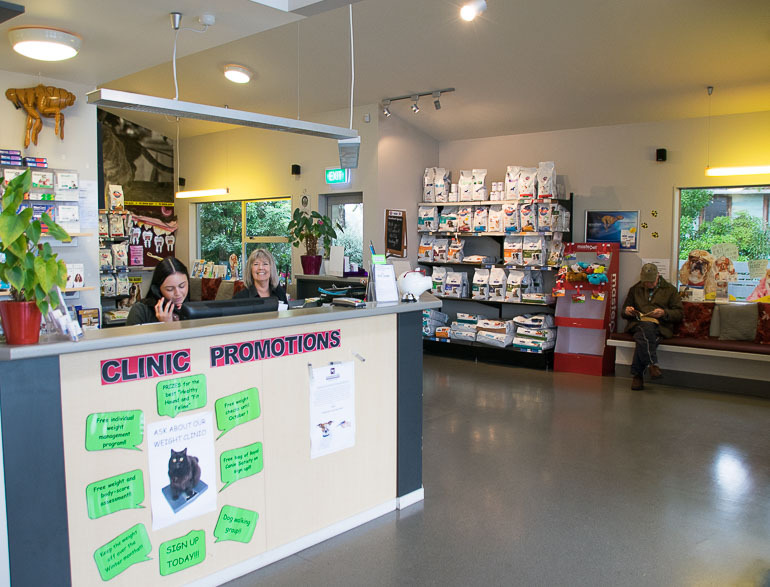 Our purpose built vet hospital located at 15 Whitford Road provides consultations throughout the day and our facilities include, ultrasound and x-ray, laboratory services, operating theatres and hospital wards. If you need emergency treatment for your pet after hours please call the Manukau After Hours Veterinary Clinic on 09 277 8383. This clinic is located at 15 Jack Conway Ave and is staffed by Nurses and Veterinarians all night, weekends and public holidays.